I love Yogi Berra-isms. If he didn't say this he should have: "You don’t know what you don’t know.” While this thought might seem deceptively obvious, it takes most of us decades of living before we realize the truth of this. 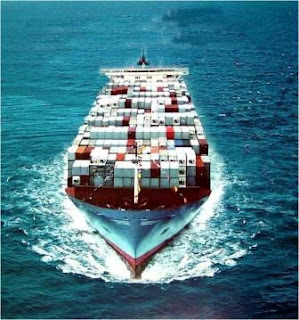 When it comes to importing though, it's best to find out what you don't know before the ship sails. Importing can be extremely profitable if you understand how to avoid the pitfalls and know how to structure the deal to your best advantage. It is definitely a tool to consider but not one to be used without preparation. It sounds so easy to match up two parties when one is saying “I want to sell” and the other “I want to buy." But factor in a foreign laws, currency fluctuations, cultural, language and business differences, import regulations, ocean transports, product variances and dispute resolution then you see that entering those international waters can be risky. 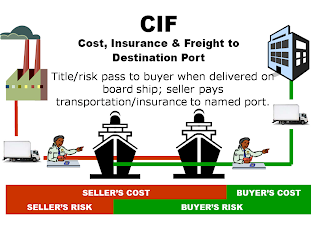 • What are the costs of importing? • When does title pass and when does the risk of loss become mine? • What are the best financing options and terms for importing? • What recourse do I have with a supplier that is 8,000 miles away and has already exercised my Letter of Credit but his product does not meet my expectations? To answer these questions and more in one venue the Floor Covering Institute put together a panel of trade experts to discuss the basics of importing at Surfaces 2010 in Las Vegas. I will moderate the panel as we present and discuss ways to avoid potential problems when importing. We'll cover requirements important to both American buyers wanting to procure product abroad and foreign manufacturers wishing to export to the U.S. The panel of trade experts include Scott Kaiser, Vice President of Bank of America-Merrill Lynch’s Global Trade & Supply Chain Solutions; David R. Stepp, Esq., general partner of Bryan Cave LLP, and Craig Vigliotta, General Manager of BlueLinx Import Distribution. Together we will teach you ways to protect yourself, make the right financing choices, the process of gaining entry through customs, the costs and much more. One of the most often asked questions is: “When does title and risk pass to me?" The short answer is it depends upon how you structure the deal, FAS, FOB, or CIF, for example. Those are common international terms for importing that define when title and risk pass to you. We’ll explain the differences. If importing is something you want to learn more about join us at Surfaces, Wednesday, February 3rd at noon for “Avoiding Landmines in Flooring Imports.” If you are interested, log on to the Surfaces Registration Page where you can register for the first time or edit your existing registration to add education seminars. I hope to see you there! What’s so great about this blog site is that it provides a great venue for hearing your concerns and questions ahead of time. If you send me your comments and questions here I’ll address them and they will surely make the seminar even more valuable.